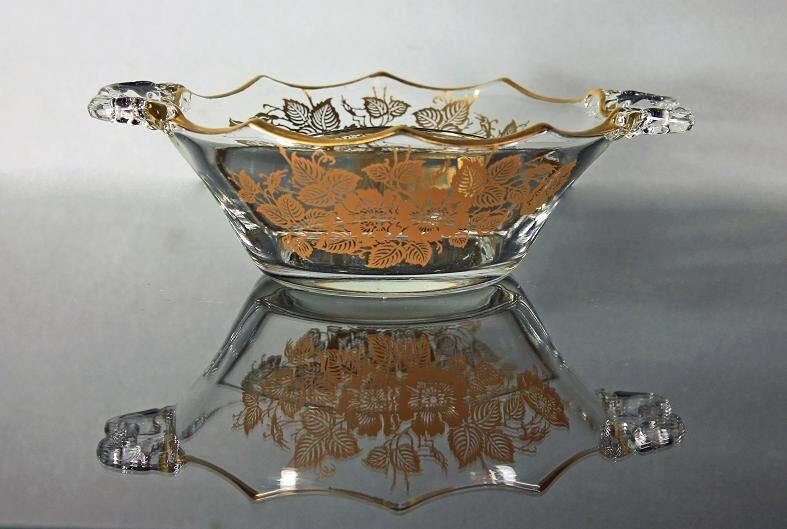 A gorgeous divided bowl by Silver City. 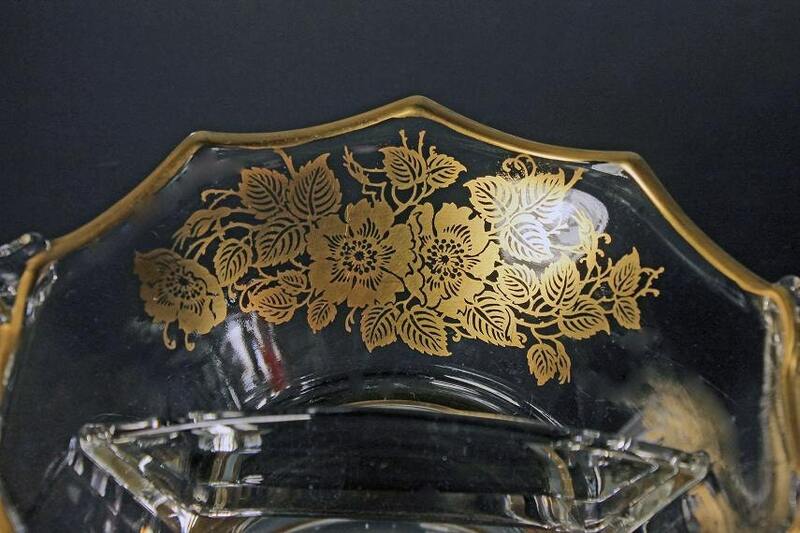 It is in the Queens Rose pattern which consists of a gold overlay floral and foliage design on a clear glass body. The edge is scalloped and trimmed with gold also. This would be perfect on a coffee table, sideboard, or buffet. Perfect for a 50th wedding anniversary. 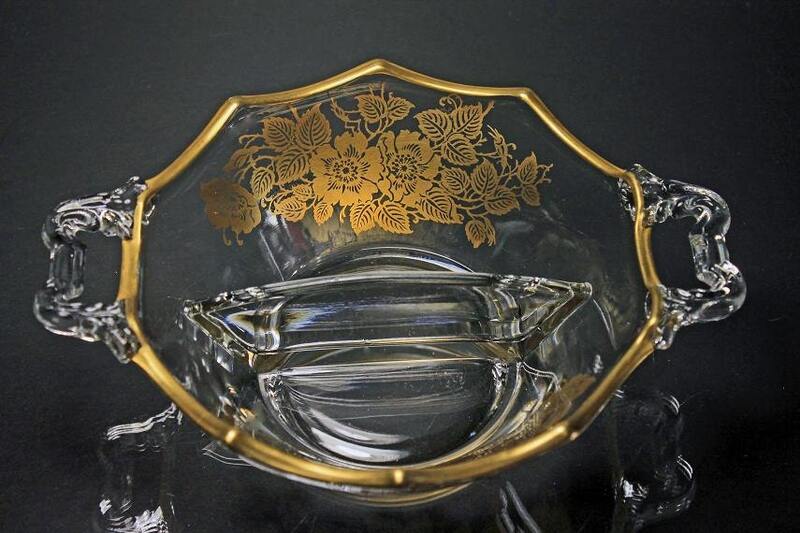 This bowl is in excellent condition. There are no chips or cracks. The gold is shiny and intact. I polish all the silver, gold, and brass in my shop to be able to determine the condition and show it off at it's best. 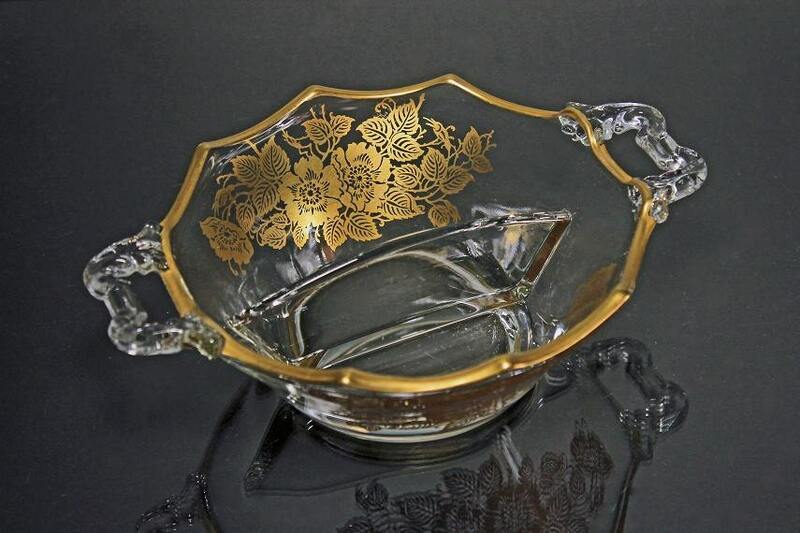 This would make a great golden anniversary, wedding, or holiday gift. 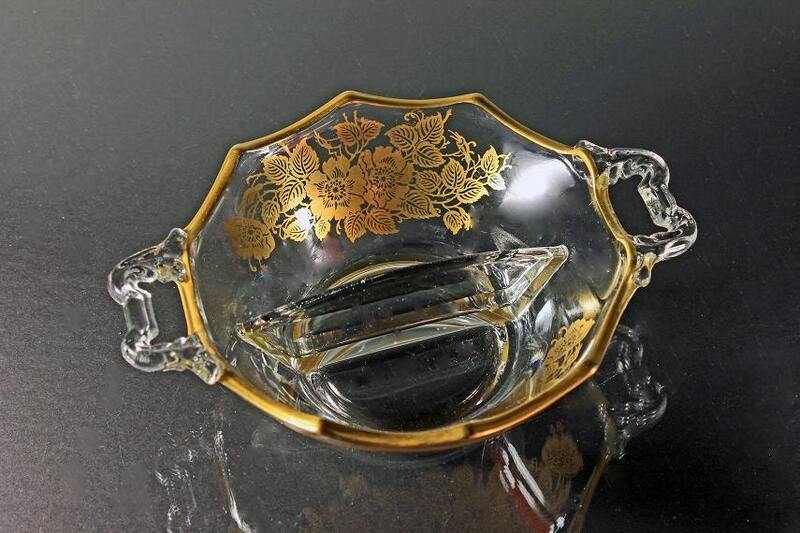 A great piece to add to your collection.